This is the other branch of the supposedly famous Philippine stall from a coffee shop in Geylang East, near Paya Lebar MRT. 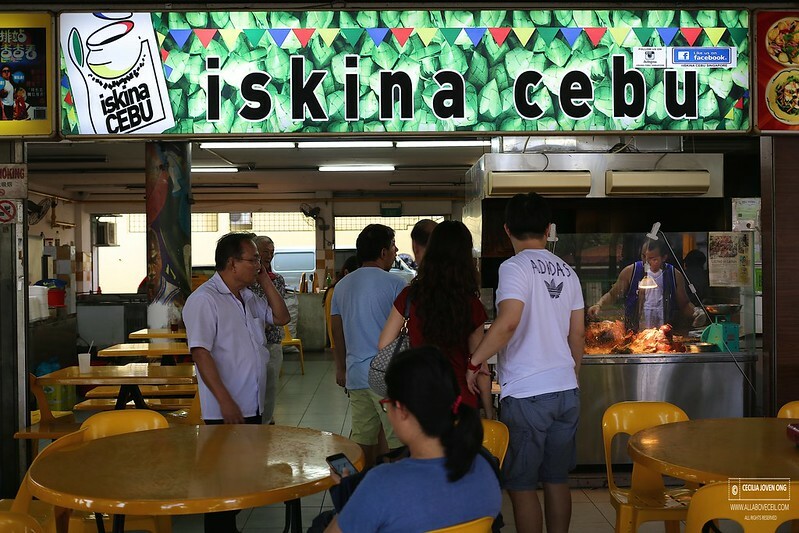 This particular outlet is located along Upper Serangoon Road together with the famous Fried Oyster and Punggol Nasi Lemak. There are 4 set meals for selection: Lechon Le Cebu (Roasted Pig) at $10, Liempo de Balamban (Roasted Pork Belly) at $6, Manok de Balamban (Roasted Chicken) at $6 and Liempo - Manok de Balamban Combo (Roasted Pork Belly & Roasted Chicken) at $11. You could also choose to order al-la-carte: 1 kg of Lechon Le Cubu (Roasted Pig) for $40, 1/2 kg of Liempo de Balamban (Roasted Pork Belly) at $12 and a whole Manok de Balamban (Roasted Chicken) at $19. If you compare those prices against a usual Roasted Meat stall, it is not too cheaper though not much higher. 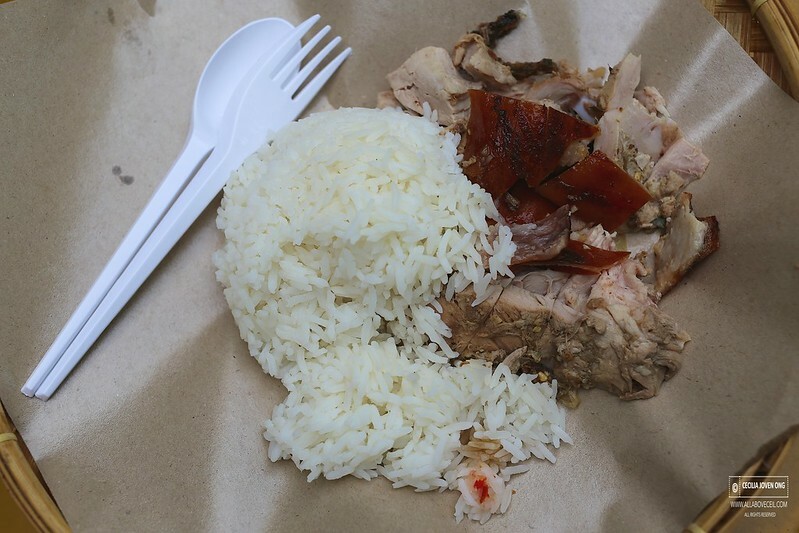 I decided to go with Lechon Le Cebu (Roasted Pig) set meal that consists a portion of rice at $10. 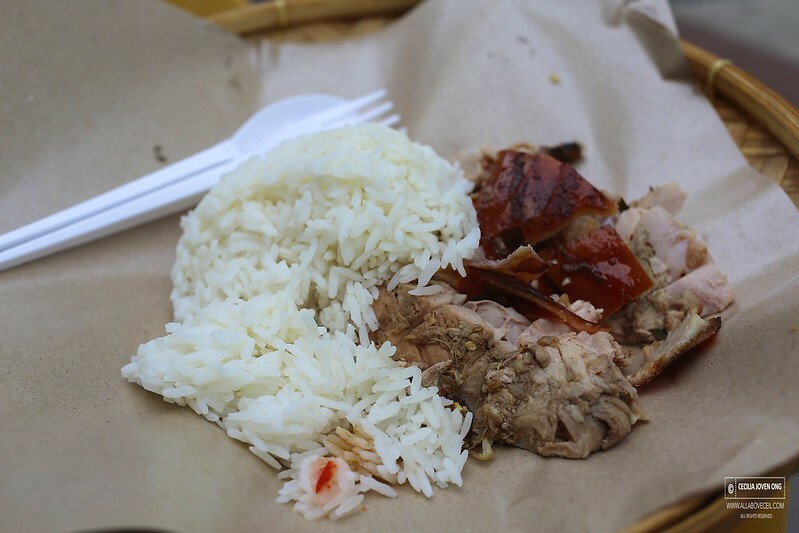 An average portion of roasted pig consists of a few pieces of roasted skin was served with rice. There are 2 types of sauces available at the side table next to the stall for self-service, both are vinegar based if i am not wrong, the taste of both is rather close and not particularly distinctive. I felt it did not actually enhance the flavor so with or without it, did not make a difference. The texture of roasted pig was delightfully tender and nicely seasoned with a slight saltishness but those pieces of skin were not crispy but soggy and a little too chewy. The rice tasted a bit too hard and rather dry too. The portion was a bit little for $10 thus not quite worth the value. It still left me feeling hungry after done eating. A short queue started to form during the dinner time. Overall, it was alright but i did not like it enough to eat it again soon. 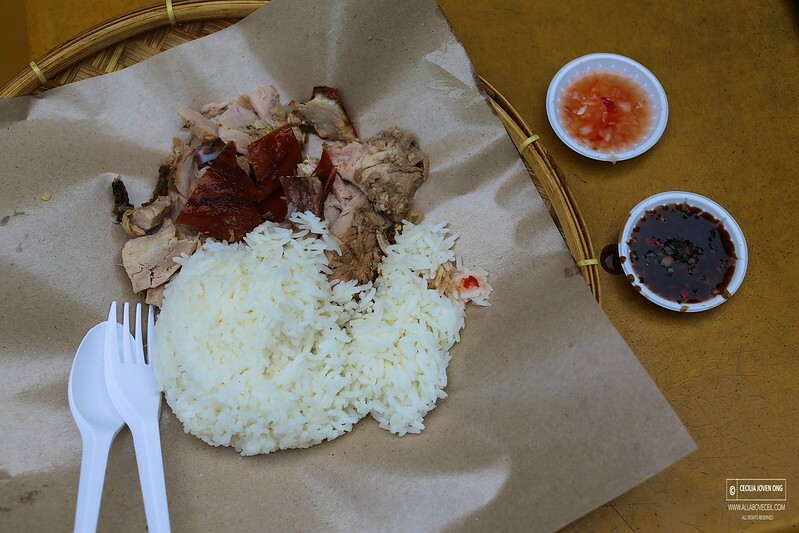 I would rather go for my Sio Bak rice at a cheaper price. 973 Upper Serangoon Road SINGAPORE 534725.